We’re commemorating the birthday today of Professor Rolla Neil Harger (14 Jan 1890 – 8 Aug 1983), an American biochemist and toxicologist who in 1938 developed the first practically useful machine for testing human breath alcohol content – quite aptly named the ‘Drunkometer’. Harger’s invention wasn’t the first attempt at determining alcohol content by analysing a person’s breath – the concept dates back to as early as 1874, and earlier systems were developed by Emil Bogen and W McNalley in the 1920’s. What makes the Drunkometer a breakthrough in breath testing was its portability and improved accuracy over previous systems. In Professor Harger’s system, the test subject blew into a balloon, and from there the breath sample is pumped through acidified potassium permanganate, which changed colour in the presence of alcohol. The more alcohol present, the greater the change in colour, so using a calibrated colour chart it was possible to fairly accurately determine the alcohol in a breath sample, and through that, calculate blood alcohol levels. 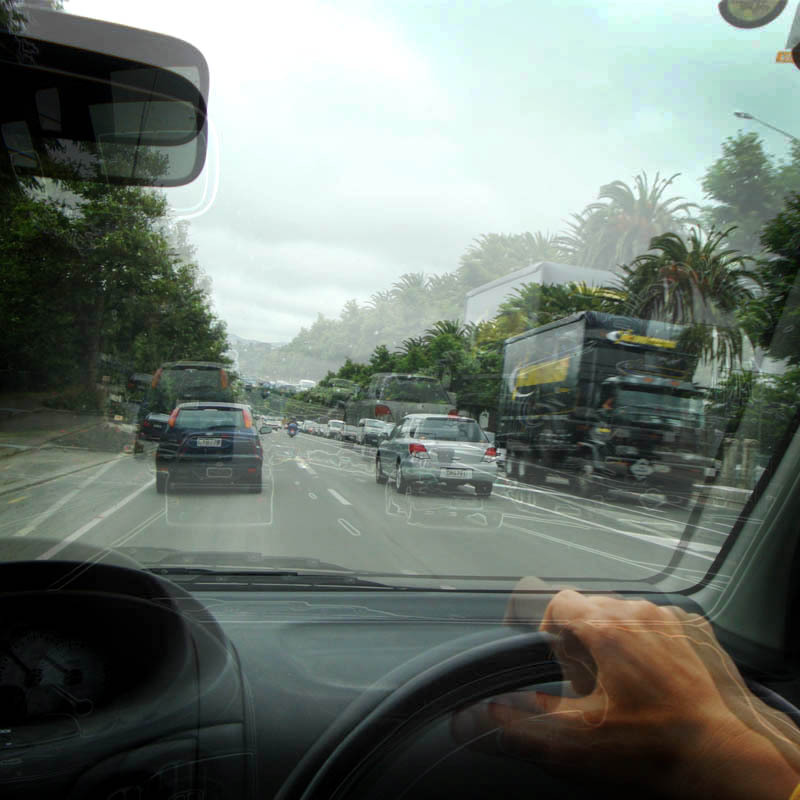 Drunk driving – putting yourself and your fellow road users at risk. Since the Drunkometer, breathalyser testing have improved steadily, with current systems , based primarily on infrared spectroscopy or electrochemical fuel cell technology, providing highly consistent and accurate results. What makes the breathalyser a very useful tool in law enforcement is its non-invasiveness – it indirectly measures blood alcohol levels, as opposed to direct measurement which requires a blood sample to be taken for analysis. Being non-invasive, it is an ideal tool to do preliminary alcohol screening – if the result indicates alcohol levels above the legal limit, it can be followed up by a blood test for conviction purposes. Of course even the modern breathalyser is not perfect, and it has been reported that the results of a breath alcohol test can be manipulated to some extent by vigorous exercise or hyperventilation. But then again, if you’re inebriated well beyond the legal limit your ability to engage in sufficiently vigorous exercise is questionable, and if you try to hyperventilate, you’re more likely to pass out than pass the breathalyser test, so practically speaking it is unlikely that a drunk driver will be able to manipulate his test too much. Bottom line – any device that can be even partially successful in getting drunk drivers off the road gets my vote, so kudos to Professor Harger and his Drunkometer for leading the way in alcohol breath analysis. And while we’re on the subject – three cheers for the law enforcement officials who spent the festive season on the roads sorting out drunk drivers and other offenders, enabling the rest of us to enjoy our holidays safely and return home stress-free.